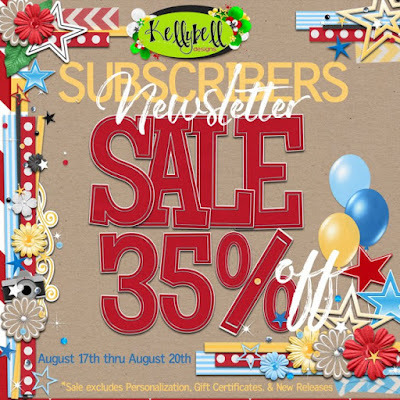 Kellybell Designs is showing some love for the loyal Newsletter Subscribers. If you are not a Newsletter Subscriber you still have time to subscribe. Just head over to Kellybell Designs on on the right hand side of the screen you will see the green sign up button. Type in your name and email address and then just click the sign up button. Then watch your inbox on Friday August 17th for the email with your coupon code for the sale.